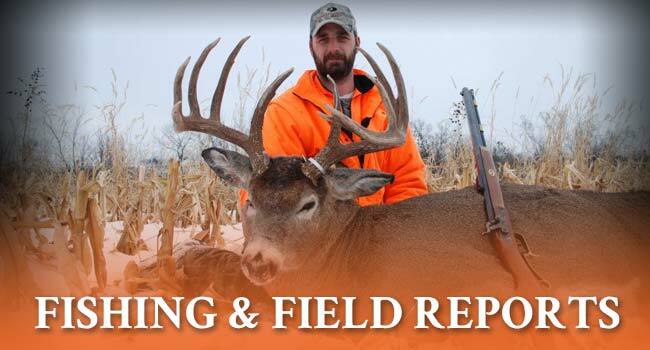 Offering world class and some of the best Buffalo County whitetail hunts and walleye fishing, Rutting Ridge Outfitters, LLC is located in the heart of Buffalo County, WI, along the Mississippi River and Lake Pepin. We are not your every day guide service. 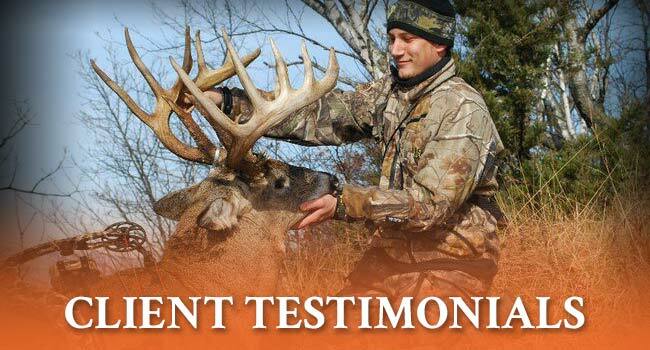 We are second and third Generation guides that have honed their skills by spending countless number of hours deer hunting and guiding on the Mississippi River and Lake Pepin. We are Mississippi River Walleye Guides and Buffalo County whitetail outfitters. What’s unique about our Buffalo County Whitetail hunting is we take a very low number of hunters a year so that you can have a hunt of a lifetime. Being the heart of one of the best counties in the nation for Pope and Young Boone & Crockett record book entries, we want our guests to have a hunt of a lifetime. We are not offering just a 5 day sit where the land has been pounded by too many other hunters already. We average only 1-2 people for every 100 acres we lease for entire archery year so that the land will not get over pressured, and all those big Buffalo County whitetails will not go nocturnal with no chance of being harvested. We are averaging 95% Kill opportunity on bucks pope and young or better. View our deer hunting page and check out our trophy gallery to view more of our monster Buffalo County deer. 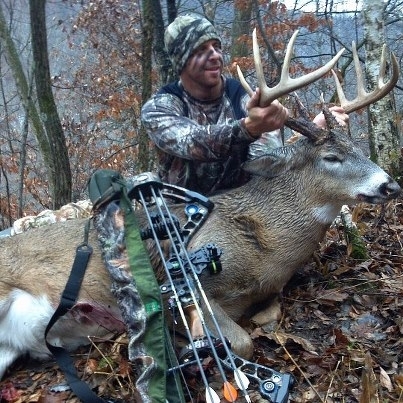 Antler restrictions apply on all whitetails; 130" on 8 pointers, and all other 140" minimum. Bucks shot under the minimum would be subjected to a $750 penalty. All of our Buffalo County Archery and Rifle Deer Hunts are done under the rules of fair chase, as there are no high fences. Our "All-Inclusive" Whitetail Hunts were created for the sole purpose of providing the hunter with a high quality hunting experience. All of the Guides are hunters and know the habits and patterns of the deer and know what it takes to get you close enough for that shot of a lifetime. 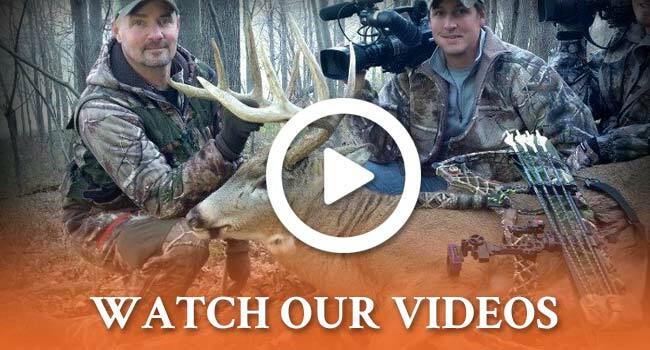 Here is a video to help you understand how to age bucks on the hoof. 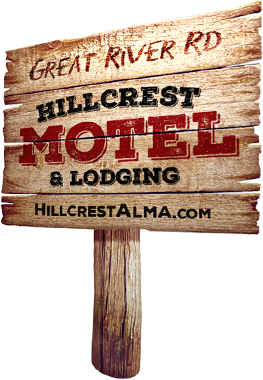 Hillcrest Motel welcomes you to the beautiful Mississippi River Valley! Our motel is located just north of Alma, Wisconsin, along the Great River Road on Highway 35. Alma, Wisconsin is the heart of the 250-mile Wisconsin Great River Road. Whether you are coming to fish on the Mississippi River with or without our guides, hunting the famous trophy whitetails of Buffalo County (#1 county in the world for Boone and Crockett record book entries! ), enjoying a hike on Buena Vista Trail from Main Street to the top of Alma Bluff and Buena vista overlook, watching the soaring eagles, exploring the quaint shops and galleries for that one of a kind treasure or just small river town quaintness and the advantages of the Mississippi River and the Wisconsin Great River Road making Alma a perfect travel getaway. Rutting Ridge Foundation Inc. is a non-profit 501c3 company that was created to help underprivileged and physically challenged youth and veterans enjoy a hunting/fishing trip of a lifetime that they would not normally be able to experience. From hunting giant whitetails & turkeys in Buffalo County, Wisconsin, to fishing for 10-pound walleyes in the Mississippi River, it's an outdoor adventure they will never forget! Their memorable experience doesn't stop there. We also provide our wheelchair bound outdoorsmen & women, the means to be able to continue enjoying the outdoors, long after their trip with us is over. Through the generous donations received from our friends, supporters & sponsors we are able to provide them with their very own Action Chair. These tank type wheelchairs allow them to go off road/trail and into areas that standard wheelchairs can only hope to go. Mud & hills are nothing more than fun obstacles. The chairs become theirs to keep, so they can experience the outdoors on their terms and access all the areas they desire.